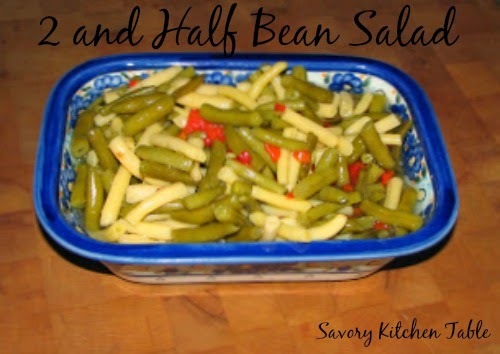 I love 3 bean salad, but I hate kidney beans. So, I developed this recipe to cater to my own likes. If you like kidney beans, add them back in. Drain beans and pimentos and place into a jar with enough room for the liquid. In a sauce pan dissolve the sugar and salt into the vinegar and bring it to a boil. Pour it over the beans. Marinate at least 24-48 hours for the best flavor.